Planned Parenthood has been a controversial organization to many Americans since its beginnings in 1916. Just this week a bill was debated in the Senate to defund Planned Parenthood, which failed 53-46 (required 60 votes to pass). With political rhetoric and misinformation heard from many speaking on the subject, the kinds of services provided by Planned Parenthood may be unknown or misunderstood by those who could potentially benefit from them. Planned Parenthood began their work when information about family planning and contraception were considered “obscene.” The founders of the first birth control clinic were arrested and convicted for disseminating contraception information. In the 1960s family planning became a central element of the War on Poverty. Today family planning services include everything from couples counseling to reproductive health screenings, pregnancy tests and prenatal services to contraception or pregnancy termination. Some Planned Parenthood clinic locations are able to provide a full range of family practice services. Planned Parenthood’s mission has always been to provide services for those in need regardless of income, national origin, or any other criteria. A common misconception portrayed by some in the media is that Planned Parenthood is an “abortion factory.” Planned Parenthood’s 2013-2014 Annual Report has many success stories from recent years, including reducing teen-pregnancy to a 20-year low through education and access to information; participating in over 70 research projects looking into women’s health; provided 865,721 pap tests and breast exams for women at risk of cancer, which detected 87,988 women’s cancer or identified their abnormalities; and provided 4,470,597 tests for sexually-transmitted infections—including HIV—to both men and women, diagnosing 169,008 people and allowing them to get treatment and prevent further spread of STIs. 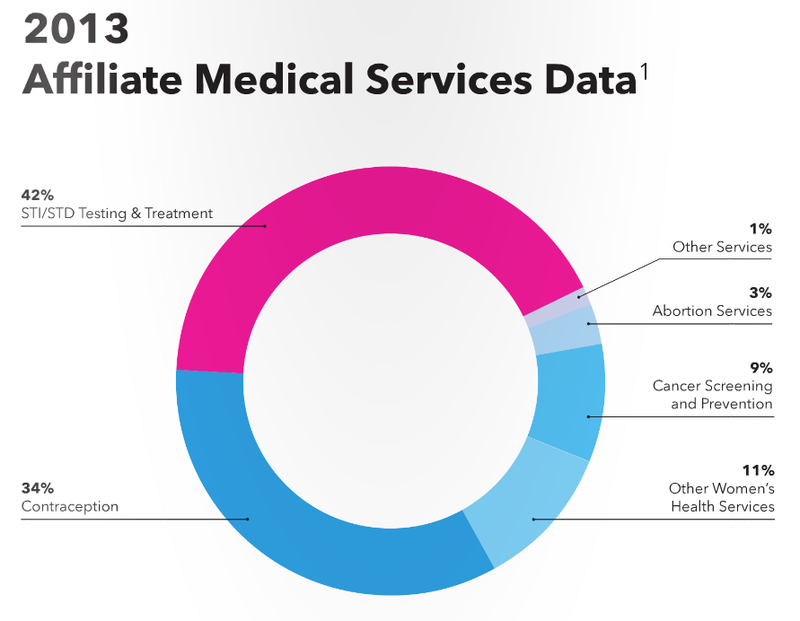 Contrary to the claim that Planned Parenthood is an “industry of abortion,” the report states only 3% of the services provided in 2013 were abortion procedures. NeedyMeds has information on over 500 Planned Parenthood clinics. Search your zip code for locations in your area. There are over 2000 other clinics nationwide that offer family planning services as well; just look for it under Details of your search results. Thank You!Planned Parenthood was ‘The Womens Center’ 32 years ago when I found myself there.I was 18,pregnant and had no income.They gave me options,information,dietary care and pre natal care.Thru them I found a grant that paid for my hospital stay.It was run by the nicest people who were there to help.Forward 3 years and my daughter was elgible for Head Start.Imagine my surprise when one of the best counselors from The Womens Center was there to do the intake!I learned a lot from all of them.I started volunteering there and ended up substitute aiding there at times.I am thankful that they were there when we needed them.